A press-in-the-pan crust makes this easier-than-pie rhubarb dessert that taste extra-heavenly! 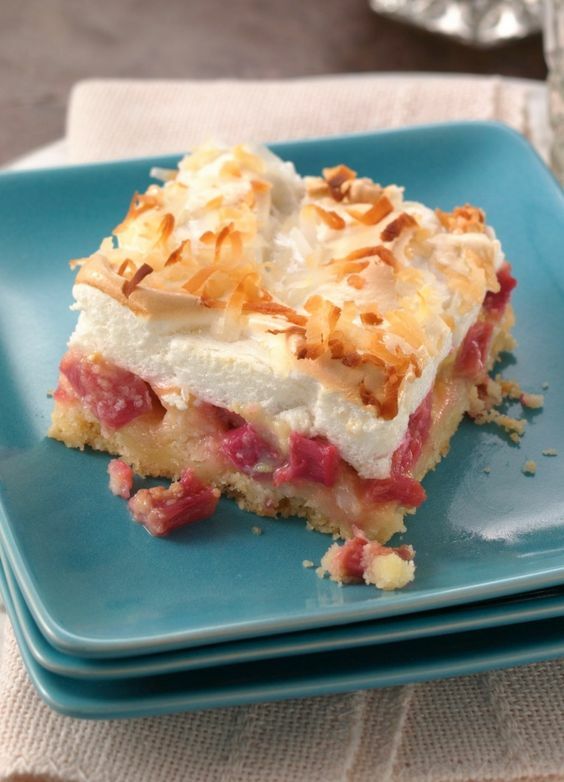 "This is far the best rhubarb recipe that I have ever tried, I have been making it for just over a year now and everyone who tries it, wants the recipe, throw away your old rhubarb crumble recipe and have a new favorite with this one, even rhubarb skeptics will love this dessert!" raves Betty member Shar75.